In a landmark settlement, the New York Police Department has agreed on reforms to protect Muslims from its discriminatory and covert surveillance, including the appointment of a civilian to monitor police surveillance. The settlement reached during two lawsuits on Thursday establishes reforms that prevent police officers from launching investigations based around a suspect’s race, religion or ethnicity. In a further, safeguard it installs a civilian watchdog within the police department to prevent unfair targeting, and restricts the use of undercovers and confidential informants. “At a time of rampant anti-Muslim hysteria and prejudice nationwide, this agreement with the country’s police force sends a forceful message that bias-based policing is unlawful, harmful, and unnecessary,” Hina Shamsi, the American Civil Liberties Union national security project director and an attorney in the suit, said in a statement. The announcement brings to an end months of negotiations aimed at ending litigation over accusations that the NYPD conducted what the Associated Press described as a “covert campaign of religious profiling and illegal spying.” A federal judge must approve the terms of the settlement before they can go into effect. The legal actions that followed reports by AP which revealed how city police infiltrated Muslim students groups, put informants in mosques, and spied on Muslims in neighborhoods, schools and stores as part of a broad effort to prevent terrorist attacks in the years September 11, 2001. 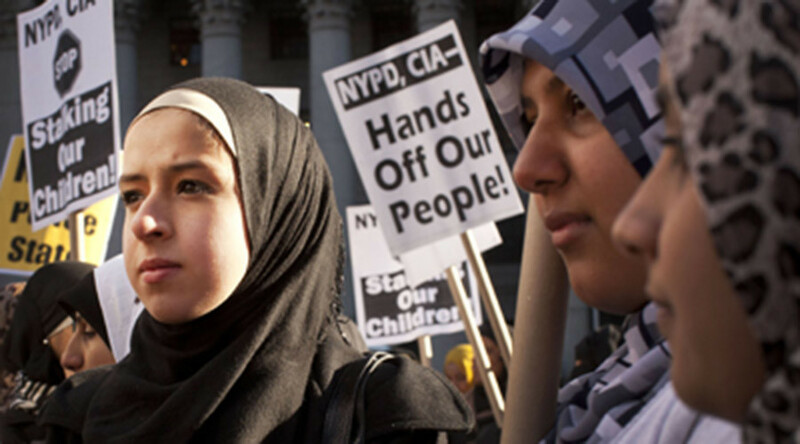 In 2013, civil rights groups sued in Manhattan federal court accusing the NYPD of breaking the Handschu rules, with a second case filed in a Brooklyn federal court by mosques and community leaders that alleged the department discriminated against Muslims. The Handschu Guidelines, in place since 1985, barred police from starting a surveillance file purely because of religious or political leanings of a person or group. The guidelines were created after police were found to have monitored peace activists in 1970s, and violated their First Amendment-protected activity. The rules were loosened after the 9/11 attacks. The settlement reintroduces the guidelines and bans police investigations based on race, religion or ethnicity. Among the plaintiffs in the Brooklyn case was Hamid Hassan Raza, an imam who claimed the NYPD’s practice of cultivating informants and using undercover investigations had spread fear and suspicion at his mosque. “Incorporating existing NYPD practices into the Handschu Guidelines makes it easier to maintain best practices in intelligence gathering and investigations,” Police Commissioner William Bratton said, according to Reuters. The city is not admitting wrongdoing as part of the agreements and will pay out about $2 million to cover plaintiffs’ legal costs.